The needs in Sabah are great and far-reaching. Even as we enter the month of August with the first half of 2016 behind us, we are reminded that our vision of educating, elevating and empowering rural communities is both a learning journey for us at Starfish and a partnership journey with those we work with. In this learning journey of empowering local communities, we have sought hard to see the strengths and potential, and not focus on the problems at hand. The work that we do requires stamina and endurance - many times the fruits of our labour is not immediately visible, but we know that slowly and surely, good seeds are planted and its impact will be seen in the generations to come. We want to take this opportunity to thank those who have come alongside us, believed in our vision and entrusted us with your resources. if you'd like to partner or work with us. We'd love to hear from you! 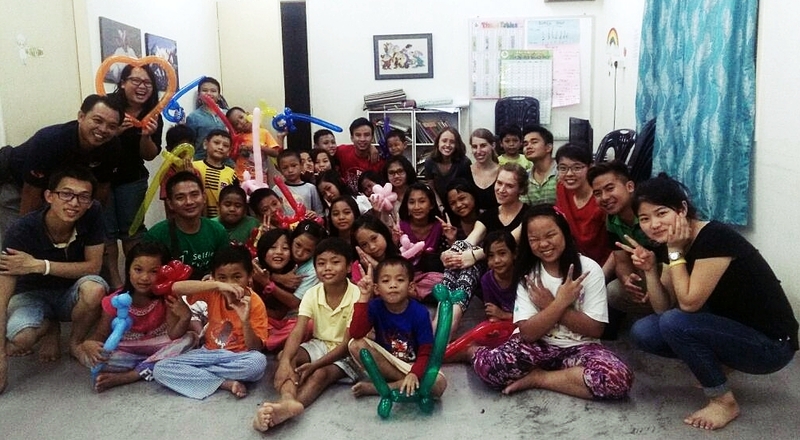 We had a few groups visit our hostel over the past few months to run short children's programs. Our children thoroughly enjoyed the company of new friends and were refreshed with these special sessions outside their daily routine. Some volunteers have also committed their time to help tutor our children as they gear up for the upcoming year-end examinations and the major UPSR examination for Standard 6 students. We are very grateful to those who have made time to help educate and enrich our children. 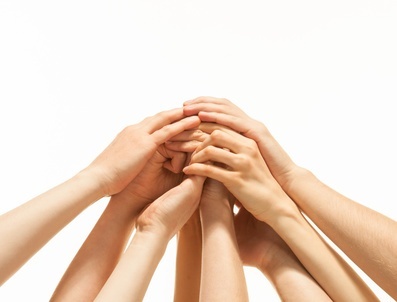 We have a special volunteer program specially designed for young people. If you want to be part of this mission of shaping young lives and gain experience in community development, please contact us for more information. 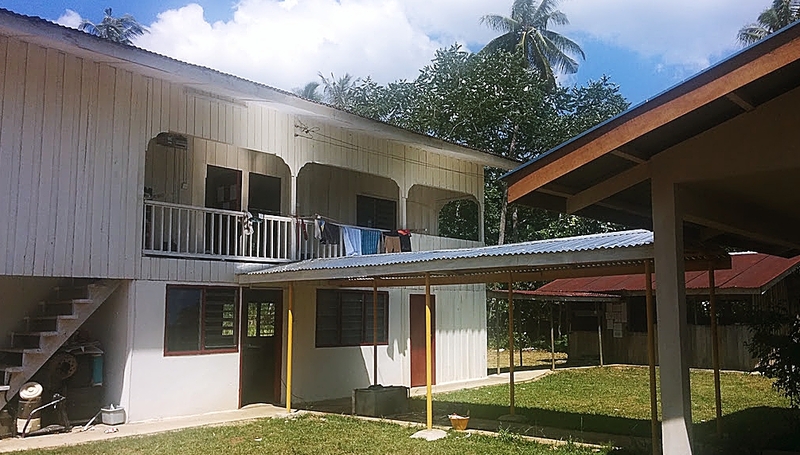 Soon after the signing of the partnership agreement with the Protestant Church in Sabah (PCS) to jointly restore and refurbish several hostels in Kudat and Pitas area, we engaged our contractors to start repair works in one of the three hostels. A once run down hostel in Solimpodon has undergone a facelift with immediate repair works done to ensure the safety and basic comforts of the young people living there. While repair and construction work is ongoing, our in-house agriculturist have plans to cultivate the land around the hostel for basic farming. There is still a lot to be done, but we are excited to see evident changes taking place. View slideshow of the newly repaired hostel here. If you'd like to be part of the makeover of these hostels, please contact us. We believe in raising and shaping wholesome children and youth. That means, equipping them with opportunities to grow socially, mentally, spiritually and physically. In June, we ran a Citizenship Awareness program together with Undi Malaysia for urban and rural youth in Sabah. We empowered them with tools to ignite positive change in their own communities. We educated them on their rights as Malaysians and encouraged them to take ownership of their citizenship for the good of our nation. In July, we teamed up with Dream Village Football Academy (DVFA) to run a football coaching workshop for urban and rural community leaders. The coach from DVFA is a certified Premier Skills football coach trained in the UK. We successfully trained 17 new community coaches who can now run football programs in their own communities. We wrapped up the workshop with a fun Kids Football Festival where over 70 children participated. We are on a lookout for interesting children or youth programs that can help build communities. Drop us a line if you'd like to work with us. 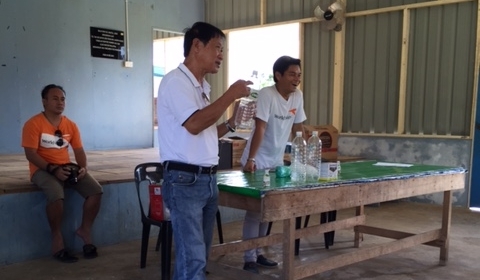 Mr. Felix Lee, a local fruit fly trap 'expert' conducted a simple training for the soursop farmers in Kampung Maatol. Due to the recent prolonged drought, most of the soursop trees have yet to fruit. Adding to the delay, some budding young fruits have come under attack by fruit flies. In our effort to discourage the use of harmful pesticides, we scouted around for more natural solutions. Mr. Felix taught the farmers how to make their own fruit fly traps using recycled bottles. We hope to see a harvest of fruits in the coming months. This is a mega project in the making, if successful, it would be a game changer for the communities involved. We hope to elevate the income and improve living standards of at least 1000 families in the poorest region of Malaysia, located in the north of Sabah. Since the start of 2016, we have been meeting with grassroots organisations and local farmers to share our vision of planting hybrid coconuts for export. This month, we will have our third dialogue with local farmers and we are expecting 200 - 300 attendees. Come alongside us by supporting financially, connecting us with potential sponsors and praying with and for us. Contact us if you want more information. ROSELLE ENZYME NOW FOR SALE! What started as an economic empowerment project for farmers in Kampung Mengkapoh, a small village 50 kilometres from Ranau township has come full circle. Twenty farmers participated in this project - they planted and harvested roselle which is more commonly known as "kampong ribena". Starfish supplied the seeds, liquid fertiliser, sprayers & water pump and bought the roselle fruits from the farmers at a lucrative price to help increase the standard of living. The fruits were then cleaned, fermented and bottled to make a healthy probiotic enzyme that is now for sale. Proceeds from the sale will go towards financing this project and making it self-sustaining. A very prominent feature of the roselle fruit is that is it very high in Vitamin C, nine times more than what is found in grapes or blackcurrant. Taken as an enzyme drink, the bio-active, anti-oxidant substance can help to detoxify the body. It can also ease indigestion and lower cholesterol levels. What's behind the Starfish name? Find out the back story and more about what we do here. Copyright © 2016. STARFISH MALAYSIA FOUNDATION.